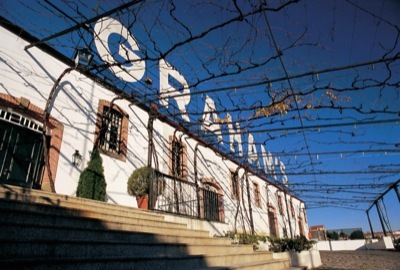 Graham's is a great port house, producing one of the deepest-coloured and sweetest styles of vintage port. Along with Taylor's and Fonseca, Graham's has probably been the most consistent producer of great port in the post- World War II era. Their vintage ports are truly sublime and sumptuous. The 1966 is full, vigorous, rich and classy on the palate. Not too sweet. This is a big concentrated, very fine example. Bags of life ahead of it. In 2015, to mark 125 years since Graham’s first acquired Quinta dos Malvedos, a very limited quantity of Graham’s 1965 Quinta dos Malvedos Single Quinta Vintage Port was released. Now 50 years old, this exceedingly rare wine is as much a part of the history of one of the Douro’s greatest quintas, as it is proof of the remarkable longevity of Vintage Port. This rare port from the 1962 vintage has a mid deep colour, browning rim; soft, creamy aromas, still alive with a touch of cigar box emerging; soft, sweet, supple strawberry fruit, backed lovely peppery, dry tannins and a dry finish. A very rare single quinta crusted port from Graham's. Crusted port is usually a blend of port wine from several vintages, although single vintage crusted ports have sometimes been made in the past (the '61 Malvedos featured here being one of these rare examples). Unlike vintage port, which has to be sourced from grapes from a single vintage, crusted port affords the port blender the opportunity to make best use of the varying characteristics of different vintages. Crusted port is bottled unfiltered, and sealed with a driven cork. Like vintage port it needs to be decanted before drinking. Declared by some shippers, despite the war, and in some cases declared and bottled in 1945 to celebrate Victory. First Vintage to be bottled exclusively in Portugal, rather than shipped in cask as was customary. Little known, and production was small due to continued post-war restrictions, but well-cellared wines are still a pleasure.